Following the celebration of the Divine Liturgy in the Dormition Cathedral in Moscow’s Kremlin, His Holiness, Patriarch Kirill of Moscow and All Russia, joined in a common meal, patriarchia.ru reports. His Holiness shared the following with those assembled: “It has become commonplace to talk about bureaucracy and about how much the country is losing because the powers that be do not always fulfill their responsibilities. It is likely impossible to locate the cause of this loss in any lack of material compensation or in external conditions. The cause is within people. The Primate of the Russian Church related how, when he was ruling bishop of the Smolensk Diocese in the nineties, he had occasion to interact with directors of the regional administration to discuss ways out of the prolonged economic crisis. “Nearly everyone, to a person, said exactly the same thing, if in somewhat different words,” His Holiness remarked. “The essence of these words was this: we need investments and technology, and then we will be able to accomplish something.” According to His Holiness, only one of the local leaders stated that neither investments nor technology will be useful until people learn to change. “Therefore, it is my prayer today that power of spirit would return to the Russian land, so that our people might recognize themselves as successors to great traditions, absorb the spiritual power of these traditions, and rise up to the fullness of our mighty stature. 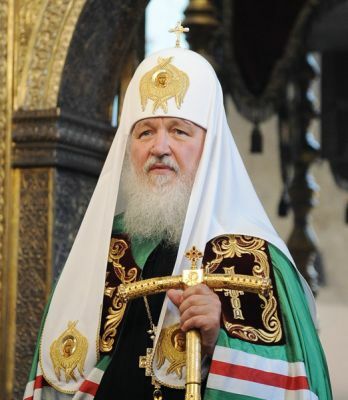 The role of the Church – of the episcopate, clergy, monastics, and laity – cannot be overemphasized here, because people can be fostered only with the assistance of God’s grace,” concluded His Holiness, Patriarch Kirill of Moscow and All Russia.